Jean Marie (Haywood) Halloran, a lifelong Wilmingtonian, died January 31, 2019 at age 86. She was the daughter of the late Albert and Jean Haywood of Wilmington, DE. Jean was a graduate of Ursuline Academy and Goldey-Beacom College. 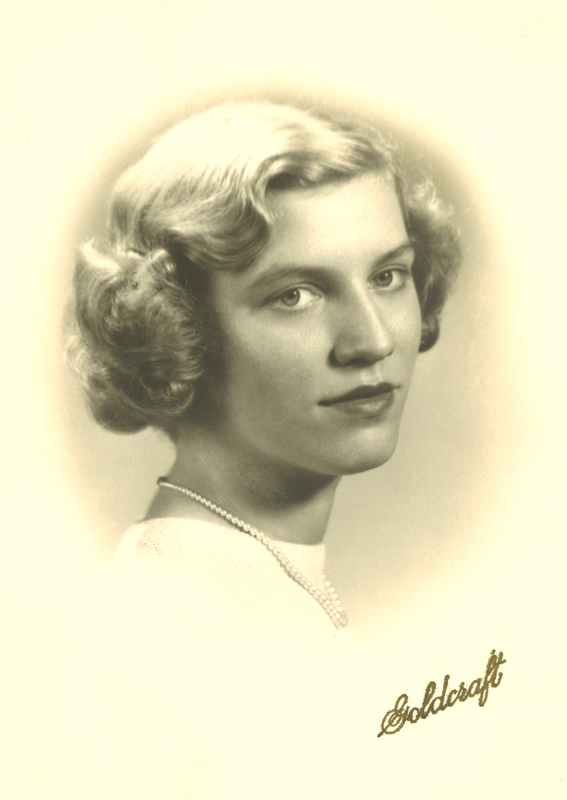 She was employed by the duPont Company and Wilmington Trust Bank prior to raising her family. In the 1980’s she became a valued employee at the Troll of Scandinavia in Centreville, DE where she made many friends and was known for catering in many of the finest homes in Wilmington. Over the years, Jean cared for a number of exceptional children and became their “Delaware Grandmother”. Jean’s easy going nature, the gift of gab, and love of entertaining made her a friend to many people through the years. She had an eclectic group of friends from every walk of life and maintained these relationships throughout her life. She was a member of many groups over the years and she especially enjoyed the Kirkwood Fitness Club and the Red Hat Group. Jean was predeceased by her husband, John, son Philip (Linda), daughter Ann Marie Borghese, son-in-law Marco Borghese, and her twin brother Albert Haywood (Ceil). She is survived by her sons Steve (Margaret), Anchorage, AK, Robert and Andrew, grandchildren Giovanni and Allegra Borghese of Cutchogue, NY, Madison and Robert John Halloran, Alaska and Kyle Halloran of Wilmington, DE. The family would like to thank Christiana Visiting Nurses, Compassionate Care and Griswold Home Care for their exemplary service in taking care of Mom. A visitation will be held at the Chandler Funeral Home, 2506 Concord Pike, Wilmington DE, Monday February 4, 2019 from 5-7 pm. In lieu of flowers, donations may be made in Jean’s name to Ursuline Academy, 1106 Pennsylvania Ave. Wilmington, DE 19806. Interment will be private at Delaware Veterans Memorial Cemetery, Bear, DE. Jean was a great friend to our family during the years when our daughter Holly was growing up. We were new to Delaware, with no family living nearby. Jean became Holly's "Delaware grandmother". Holly loved to spend time with her, and we all counted on her for help with many of our activities. She had such enthusiasm and interest in all around her, so that her company was energizing and fun. Jean loved Wilmington and shared her knowledge of it with us, the newcomers. She managed to see and share even the smallest mention in the newspaper of items that would interest us. Whenever we would take her to a concert or a play at the Grand, she would always encounter people she knew--we would joke with her that wherever she went in Wilmington she would run into her friends. Her genuine interest in people, her positive outlook on life, her love for family and community--all have been an example and inspiration to us and to many others. We'll miss her, and we'll remember her with respect and love. When we were young mothers, our husbands were members of the JC's, and when I found time to join the JaneCees, Jean was one of the first to greet and befriend me. Her outgoing personality was a spark of warmth and inclusion that flowed through the organization and the projects and activities that we carried out. For years we kept in touch and got together for lunch or other occasions. I would just like to let her young one's know that she was truly a shining light, and still is.